1966 Alfa Romeo Romeo 2 Owner's Manual Addendum. 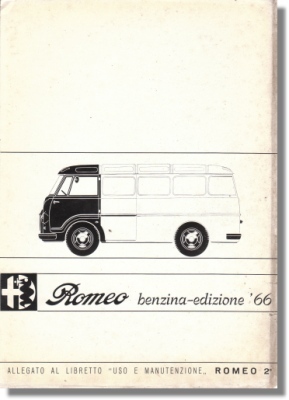 Vintage April 1966 addendum for the Alfa Romeo Romeo 2e "Version Benzina" (Petrol version) Van & Pick-up. It measures some 6 x 8 inches or 15 x 20 cm and counts 2 pages. 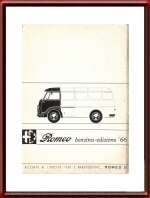 Print reference: N. 1177 4-1966 (4000), printed by Tip.. G. Pirovano, Italy.